Leave a Comment on Whither Hartlepool? IT HAS not been a vintage season for the North-East. 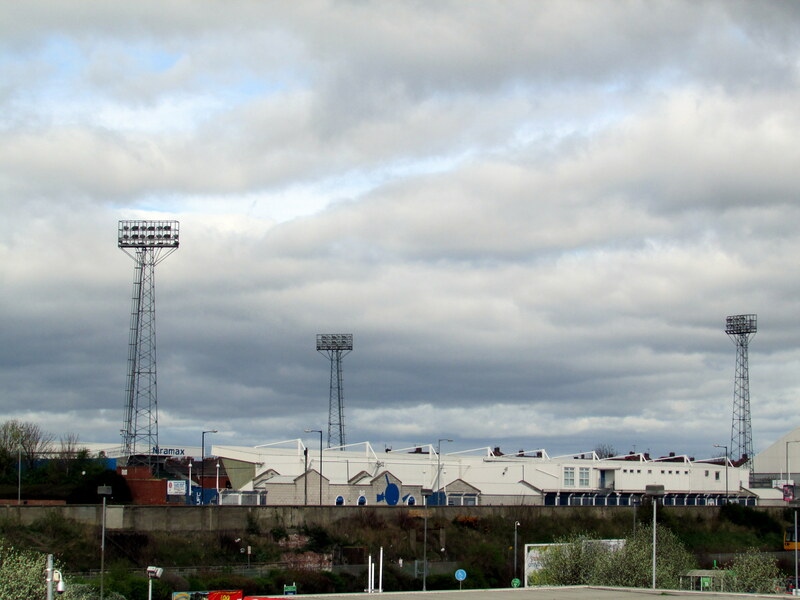 Aside from Newcastle United’s Championship success, the region – often described as a hotbed of football – has seen relegation for Sunderland and Middlesbrough and to cap it all, Hartlepool United dropping out of the Football League. Thank heavens South Shields and the FA Vase have brought some relief to the area. In the days when clubs had to seek re-election to the Football League, nobody had to go through the process more times that Hartlepool. From 1958 to 1986, the “Monkey hangers” had to seek re-election no less than 11 times. That nickname demands some explanation before animal rights folk start complaining. It dates back to a supposed incident from the Napoleonic wars when people from Hartlepool hanged a monkey that was found on a French ship. There’s a statue of a monkey on the seafront and Hartlepudlians are frequently called “Monkey hangers”. You get the feeling that keeping them in the Football League has been a challenge at times. There’s a little hint of the cult club about Hartlepool. It is sometimes overlooked that this was the club that gave Brian Clough his first taste of football management. Of course, SKY Sports’ Jeff Stelling is a fan and the club have also captured the hearts of people like rock singer Meat Loaf, film producer Ridley Scott (actually from South Shields) and MP Peter Mandelson. Football fans may also recall that some of the best matchday pies can be found at Hartlepool’s Victoria Park – I can vouch for that having visited the club a few years ago. To many, the very name Hartlepool represents the heart and soul of earthy lower division football, a byword for ongoing struggle and unflinching support of a medium-sized town club. Sadly, it’s an area that has suffered badly from de-industrialisation, one that is considered to be among the most deprived in Britain. It was also once known for shipbuilding, but the last vessel left port in 1961. Unemployment, at 9% at the end of 2016, was almost double the national average. The economy of the town may explain why almost 70% of people in Hartlepool voted to leave the European Union in the recent referendum. Given this backdrop, perhaps Hartlepool United have actually outperformed in keeping Football League status in the town for well over a century. Other clubs that struggled down the years, and contemporaries of Hartlepool in those re-election times, have all declined sharply – Bradford Park Avenue (voted out in 1970), Barrow (1972) Workington (1977) and Southport (1978) have never regained their status. It is interesting to note that some players are already saying that Hartlepool are “too big” for the National League, but that’s nonsense. The name may be out of place, but three clubs in the National League (Lincoln, Tranmere and Wrexham) all enjoyed bigger gates than Hartlepool’s 3,800 average. And teams like Lincoln have shown that non-league is not an elephant’s graveyard. Hartlepool are where they are on merit – they finished 23rd, after all, and while it may be a bitter pill to swallow, it might just be the chance to regroup. The club has lost a chairman and a manager as relegation cast a shadow over Victoria Park, but the fans have stuck by the club and in truth, Hartlepool could enjoy a winning season if they quickly get their head around relegation. At the moment, die-hard supporters will be feeling sick in the stomach at the thought of life outside the Football League. People around the country know the name Hartlepool because of the team, but remember that no club outside the Premier League got more publicity than a non-league club in 2016-17 – Lincoln City. That’s what Hartlepool fans should console themselves with as they look at their fixture list for 2017-18 and work out exactly where Boreham Wood, Sutton United and Bromley area. You never know, they might just enjoy the non-league experience.